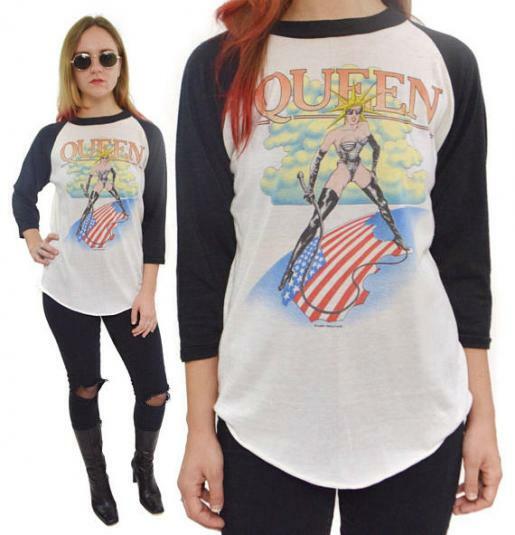 So freaking badass 1980's vintage Queen raglan tee. Super cool print in front on white with black sleeves. Great used vintage condition. Some minor signs of age and wear. Some light fade. Light pilling. Some light yellowing in areas; not too noticeable. Please review pictures carefully. ??????????? ??????????? ?????? ?????????? fly away ?????????? ????????? ?????????? ?? ????????? ? ?????? ????????? ?????? ?? ??????? ???????? ??????????? ???? ??????????? ?????? ?????? ?????? ????? ?????? ?? ??????? y ????? ?? ??????? ?? ??????? ?? ???? ?